Led by retired professional race car driver, Russ Bond, and sponsored by Toyota, the ASN Canada FIA safety endorsed program has helped over 6000 kids establish an early foundation for safe and responsible driving using a car just their size – a go-kart! Beginning June 30, kartSTART will visit 10 cities across Canada, including a new stop added to the tour in Ottawa, Ontario. By popular demand, the program will also return to Saskatoon, Saskatchewan, where it last visited in 2015. New to this year’s program is a professionally designed go-kart made accessible for kids with physical disabilities so that they can drive too! The accessible go-kart looks the same as the other karts, but with hand-controlled throttle and braking incorporated into the design of the steering wheel. 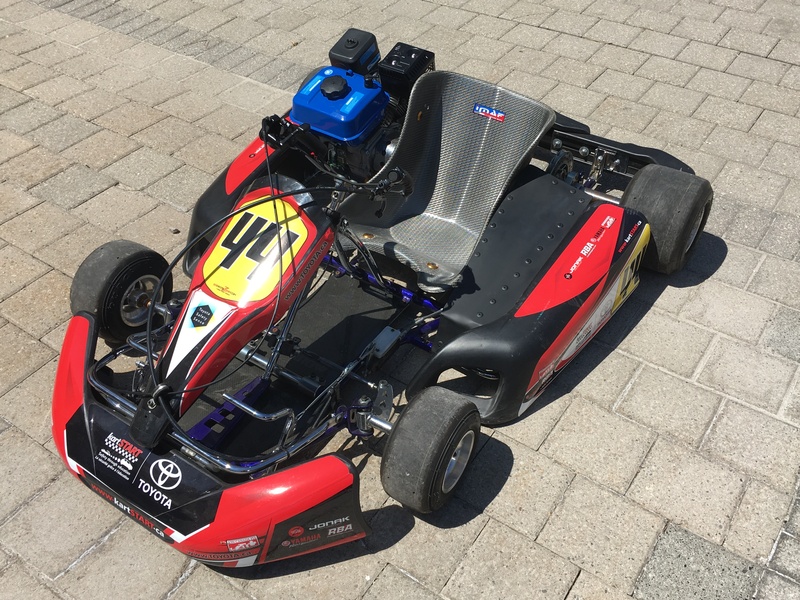 Jonak Motorsport, one of Canada’s leading racing fabrication and restoration companies, was tasked with designing, building and testing kartSTART’s accessible go-kart. The company specializes in high-end projects, from restoring vintage Formula 1 cars, to building safe, racing quality go-karts. Jonak Motorsport has been a partner of kartSTART for eight years and has been instrumental in developing a specialized fleet of karts for the program.